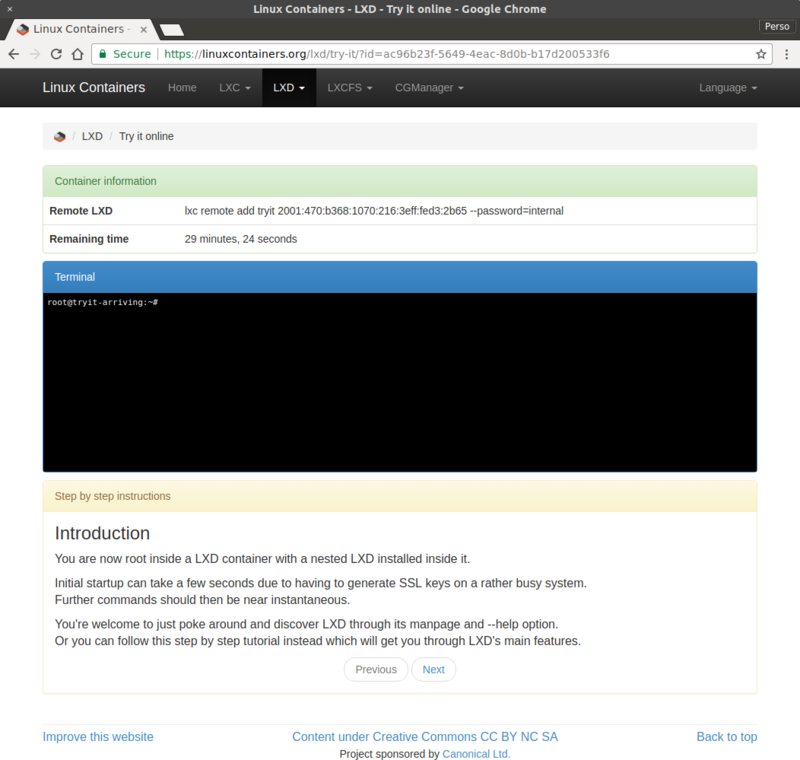 As you may know, LXD uses unprivileged containers by default. The difference between an unprivileged container and a privileged one is whether the root user in the container is the “real” root user (uid 0 at the kernel level). The way unprivileged containers are created is by taking a set of normal UIDs and GIDs from the host, usually at least 65536 of each (to be POSIX compliant) and mapping those into the container. The most common example and what most LXD users will end up with by default is a map of 65536 UIDs and GIDs, with a host base id of 100000. This means that root in the container (uid 0) will be mapped to the host uid 100000 and uid 65535 in the container will be mapped to uid 165535 on the host. UID/GID 65536 and higher in the container aren’t mapped and will return an error if you attempt to use them. From a security point of view, that means that anything which is not owned by the users and groups mapped into the container will be inaccessible. Any such resource will show up as being owned by uid/gid “-1” (rendered as 65534 or nobody/nogroup in userspace). It also means that should there be a way to escape the container, even root in the container would find itself with just as much privileges on the host as a nobody user. As mentioned above, in most cases, LXD will have a default map that’s made of 65536 uids/gids. You need access to uid/gid higher than 65535. This is most common when using network authentication inside of your containers. You want to use per-container maps. In which case you’ll need 65536 available uid/gid per container. You want to punch some holes in your container’s map and need access to host uids/gids. The default map is usually controlled by the “shadow” set of utilities and files. On systems where that’s the case, the “/etc/subuid” and “/etc/subgid” files are used to configure those maps. On systems that do not have a recent enough version of the “shadow” package. LXD will assume that it doesn’t have to share uid/gid ranges with anything else and will therefore assume control of a billion uids and gids, starting at the host uid/gid 100000. But the common case, is a system with a recent version of shadow. The maps for “lxd” and “root” should always be kept in sync. LXD itself is restricted by the “root” allocation. The “lxd” entry is used to track what needs to be removed if LXD is uninstalled. As you can see, the configured map is logged at LXD startup and can be used to confirm that the reconfiguration worked as expected. You’ll then need to restart your containers to have them start using your newly expanded map. Provided that you have a sufficient amount of uid/gid allocated to LXD, you can configure your containers to use their own, non-overlapping allocation of uids and gids. You are running software which alters kernel resource ulimits. Those user-specific limits are tied to a kernel uid and will cross container boundaries leading to hard to debug issues where one container can perform an action but all others are then unable to do the same. You want to know that should there be a way for someone in one of your containers to somehow get access to the host that they still won’t be able to access or interact with any of the other containers. It’s somewhat wasteful with using 65536 uids and gids per container. That being said, you’d still be able to run over 60000 isolated containers before running out of system uids and gids. It’s effectively impossible to share storage between two isolated containers as everything written by one will be seen as -1 by the other. There is ongoing work around virtual filesystems in the kernel that will eventually let us get rid of that limitation. The restart step is needed to have LXD remap the entire filesystem of the container to its new map. Note that this step will take a varying amount of time depending on the number of files in the container and the speed of your storage. As can be seen above, after restart, the container is shown to have its own map of 65536 uids/gids. error: Not enough uid/gid available for the container. The fact that all uids/gids in an unprivileged container are mapped to a normally unused range on the host means that sharing of data between host and container is effectively impossible. Now, what if you want to share your user’s home directory with a container? So that was pretty easy, but did it work? No. The mount is clearly there, but it’s completely inaccessible to the container. User namespaces, the kernel feature that makes those uid/gid mappings possible is a very powerful tool which finally made containers on Linux safe by design. It is however not the easiest thing to wrap your head around and all of that uid/gid map math can quickly become a major issue. In LXD we’ve tried to expose just enough of those underlying features to be useful to our users while doing the actual mapping math internally. This makes things like the direct user/group mapping above significantly easier than it otherwise would be. Going forward, we’re very interested in some of the work around uid/gid remapping at the filesystem level, this would let us decouple the on-disk user/group map from that used for processes, making it possible to share data between differently mapped containers and alter the various maps without needing to also remap the entire filesystem. It can be pretty useful to pass USB devices to a container. Be that some measurement equipment in a lab or maybe more commonly, an Android phone or some IoT device that you need to interact with. Similar to what I wrote recently about GPUs, LXD supports passing USB devices into containers. Again, similarly to the GPU case, what’s actually passed into the container is a Unix character device, in this case, a /dev/bus/usb/ device node. This restricts USB passthrough to those devices and software which use libusb to interact with them. For devices which use a kernel driver, the module should be installed and loaded on the host, and the resulting character or block device be passed to the container directly. Note that for this to work, you’ll need LXD 2.5 or higher. As an example which quite a lot of people should be able to relate to, lets run a LXD container with the Android debugging tools installed, accessing a USB connected phone. This would for example allow you to have your app’s build system and CI run inside a container and interact with one or multiple devices connected over USB. Bus 002 Device 003: ID 0451:8041 Texas Instruments, Inc. Bus 002 Device 002: ID 0451:8041 Texas Instruments, Inc. Bus 001 Device 004: ID 0451:8043 Texas Instruments, Inc. Bus 001 Device 003: ID 0451:8043 Texas Instruments, Inc.
Spot your phone in that list, in my case, that’d be the “Sony Ericsson Mobile” entry. Need to get 68.2 kB of archives. After this operation, 198 kB of additional disk space will be used. Selecting previously unselected package android-tools-adb. Since we’ve not passed any USB device yet, the empty output is expected. LXD USB devices support hotplug by default. So unplugging the device and plugging it back on the host will have it removed and re-added to the container. The “productid” property isn’t required, you can set only the “vendorid” so that any device from that vendor will be automatically attached to the container. This can be very convenient when interacting with a number of similar devices or devices which change productid depending on what mode they’re in. The optional “required” property turns off the hotplug behavior, requiring the device be present for the container to be allowed to start. More details on USB device properties can be found here. We are surrounded by a variety of odd USB devices, a good number of which come with possibly dodgy software, requiring a specific version of a specific Linux distribution to work. It’s sometimes hard to accommodate those requirements while keeping a clean and safe environment. LXD USB device passthrough helps a lot in such cases, so long as the USB device uses a libusb based workflow and doesn’t require a specific kernel driver. If you want to add a device which does use a kernel driver, locate the /dev node it creates, check if it’s a character or block device and pass that to LXD as a unix-char or unix-block type device. LXD supports GPU passthrough but this is implemented in a very different way than what you would expect from a virtual machine. With containers, rather than passing a raw PCI device and have the container deal with it (which it can’t), we instead have the host setup with all needed drivers and only pass the resulting device nodes to the container. This post focuses on NVidia and the CUDA toolkit specifically, but LXD’s passthrough feature should work with all other GPUs too. NVidia is just what I happen to have around. The test system used below is a virtual machine with two NVidia GT 730 cards attached to it. Those are very cheap, low performance GPUs, that have the advantage of existing in low-profile PCI cards that fit fine in one of my servers and don’t require extra power. For production CUDA workloads, you’ll want something much better than this. NVIDIA-SMI has failed because it couldn't communicate with the NVIDIA driver. Make sure that the latest NVIDIA driver is installed and running. Which is expected as LXD hasn’t been told to pass any GPU yet. LXD allows for pretty specific GPU passthrough, the details can be found here. Which adds them both as they are exactly the same model in my setup. LXD makes it very easy to share one or multiple GPUs with your containers. You can either dedicate specific GPUs to specific containers or just share them. There is no of the overhead involved with usual PCI based passthrough and only a single instance of the driver is running with the containers acting just like normal host user processes would. This does however require that your containers run a version of the CUDA tools which supports whatever version of the NVidia drivers is installed on the host. The LXD demo server is the service behind https://linuxcontainers.org/lxd/try-it. 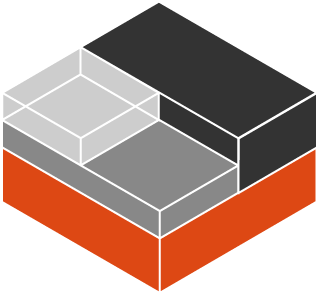 We use it to showcase LXD by leading visitors through an interactive tour of LXD’s features. 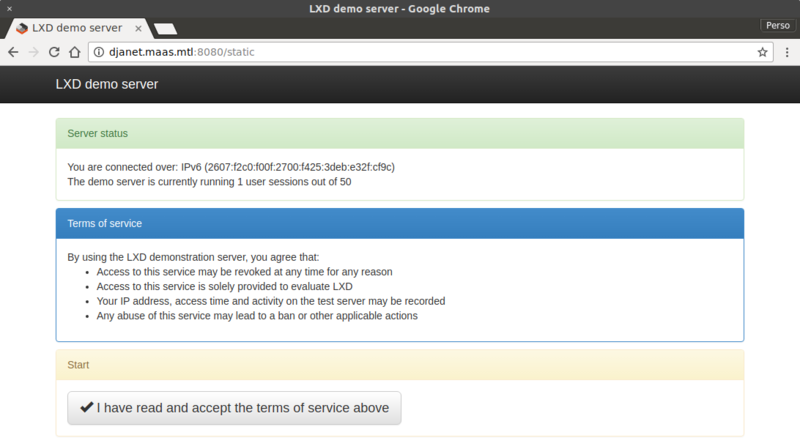 The lxd-demo-server is a daemon that offers a public REST API for use from a web browser. All of it is configured through a simple yaml configuration file. 0 upgraded, 0 newly installed, 2 to remove and 0 not upgraded. After this operation, 25.3 MB disk space will be freed. Create a new ZFS pool (yes/no) [default=yes]? Would you like to use an existing block device (yes/no) [default=no]? Would you like LXD to be available over the network (yes/no) [default=no]? Would you like stale cached images to be updated automatically (yes/no) [default=yes]? Would you like to create a new network bridge (yes/no) [default=yes]? What should the new bridge be called [default=lxdbr0]? What IPv4 address should be used (CIDR subnet notation, “auto” or “none”) [default=auto]? What IPv6 address should be used (CIDR subnet notation, “auto” or “none”) [default=auto]? And that’s it, you have your own instance of the demo server. As mentioned at the beginning, the demo server comes with a number of options to prevent users from using all the available resources themselves and bringing the whole thing down. Those should be tweaked for your particular needs and should also update the total number of concurrent sessions so that you don’t end up over-committing on resources. On the network side of things, the demo server itself doesn’t do any kind of firewalling or similar network restrictions. If you plan on offering sessions to anyone online, you should make sure that the network which LXD is using is severely restricted and that the host this is running on is also placed in a very restricted part of your network. Containers handed to strangers should never be using “security.privileged” as that’d be a straight route to getting root privileges on the host. You should also stay away from bind-mounting any part of the host’s filesystem into those containers. I would also very strongly recommend setting up very frequent security updates on your host and kernel live patching or at least automatic reboot when a new kernel is installed. This should avoid a new kernel security issue from being immediately exploited in your environment. The LXD demo server was initially written as a quick hack to expose a LXD instance to the Internet so we could let people try LXD online and also offer the upstream team a reliable environment we could have people attempt to reproduce their bugs into. It’s since grown a bit with new features contributed by users and with improvements we’ve made to the original experience on our website. We’ve now served over 36000 sessions to over 26000 unique visitors. This has been a great tool for people to try and experience LXD and I hope it will be similarly useful to other projects. This is the twelfth and last blog post in this series about LXD 2.0. This is finally it! The last blog post in this series of 12 that started almost a year ago. If you followed the series from the beginning, you should have been using LXD for quite a bit of time now and be pretty familiar with its day to day operation and capabilities. But what if something goes wrong? What can you do to track down the problem yourself? And if you can’t, what information should you record so that upstream can track down the problem? And what if you want to fix issues yourself or help improve LXD by implementing the features you need? How do you build, test and contribute to the LXD code base? This is the main LXD log file. To avoid filling up your disk very quickly, only log messages marked as INFO, WARNING or ERROR are recorded there by default. You can change that behavior by passing “–debug” to the LXD daemon. Whenever you start a container, this file is updated with the configuration that’s passed to LXC. This file will contain errors coming from LXC when failing to execute a command. It’s extremely rare for anything to end up in there as LXD usually handles errors much before that. This file will contain errors coming from LXC when starting the container. If you are using CRIU for container live migration or live snapshotting there are additional log files recorded every time a CRIU dump is generated or a dump is restored. Those logs can also be found in /var/log/lxd/CONTAINER/ and are timestamped so that you can find whichever matches your most recent attempt. They will contain a detailed record of everything that’s dumped and restored by CRIU and are far better for understanding a failure than the typical migration/snapshot error message. As mentioned above, you can switch the daemon to doing debug logging with the –debug option. An alternative to that is to connect to the daemon’s event interface which will show you all log entries, regardless of the configured log level (even works remotely). The best place to report LXD bugs is upstream at https://github.com/lxc/lxd/issues. Make sure to fill in everything in the bug reporting template as that information saves us a lot of back and forth to reproduce your environment. If you find a problem with the Ubuntu package itself, failing to install, upgrade or remove. Or run into issues with the LXD init scripts. The best place to report such bugs is on Launchpad. This will automatically include a number of log files and package information for us to look at. Do note that the use of CRIU through LXD is considered to be a beta feature and unless you are willing to pay for support through a support contract with Canonical, it may take a while before we get to look at your bug report. LXD is written in Go and hosted on Github. We welcome external contributions of any size. There is no CLA or similar legal agreement to sign to contribute to LXD, just the usual Developer Certificate of Ownership (Signed-off-by: line). We have a number of potential features listed on our issue tracker that can make good starting points for new contributors. It’s usually best to first file an issue before starting to work on code, just so everyone knows that you’re doing that work and so we can give some early feedback. You’ll want to fork the upstream repository on Github and then push your changes to your branch. We recommend rebasing on upstream LXD daily as we do tend to merge changes pretty regularly. Lets your run the whole testsuite with any of the LXD storage drivers. This enables a few extra concurrency tests. 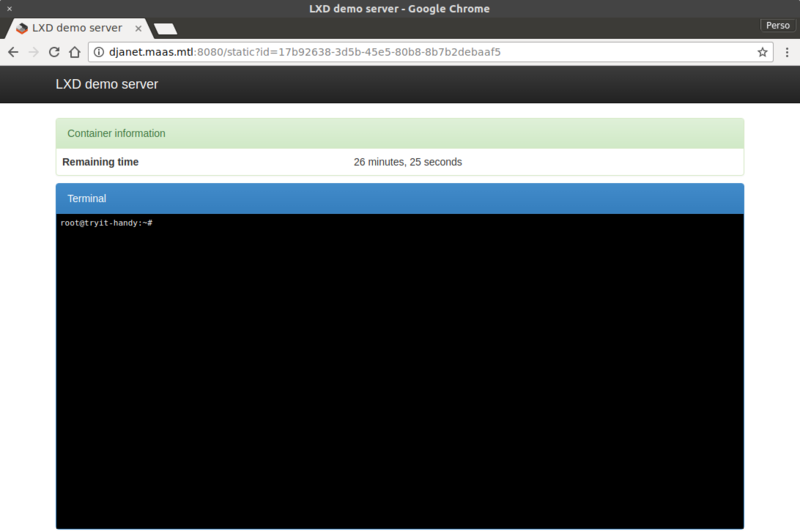 This will log all shell commands and run all LXD commands in debug mode. This will cause the testsuite to hang on failure so you can inspect the environment. The “logs” directory of all spawned LXD daemons will be copied over to this path. Disables any test which relies on outside network connectivity. Lets you use a custom test image rather than the default minimal busybox image. Runs the whole testsuite within a “tmpfs” mount, this can use quite a bit of memory but makes the testsuite significantly faster. A less extreme version of LXD_DEBUG. Shell commands are still logged but –debug isn’t passed to the LXC commands and the LXD daemon only runs with –verbose. The testsuite will alert you to any missing dependency before it actually runs. A test run on a reasonably fast machine can be done under 10 minutes. Once that’s all done, open a pull request on Github. Our Jenkins will validate that the commits are all signed-off, a test build on MacOS and Windows will automatically be performed and if things look good, we’ll trigger a full Jenkins test run that will test your branch on all storage backends, 32bit and 64bit and all the Go versions we care about. This typically takes less than an hour to happen, assuming one of us is around to trigger Jenkins. Once all the tests are done and we’re happy with the code itself, your branch will be merged into master and your code will be in the next LXD feature release. If the changes are suitable for the LXD stable-2.0 branch, we’ll backport them for you. I hope this series of blog post has been helpful in understanding what LXD is and what it can do! This series’ scope was limited to the LTS version of LXD (2.0.x) but we also do monthly feature releases for those who want the latest features. You can find a few other blog posts covering such features listed in the original LXD 2.0 series post.